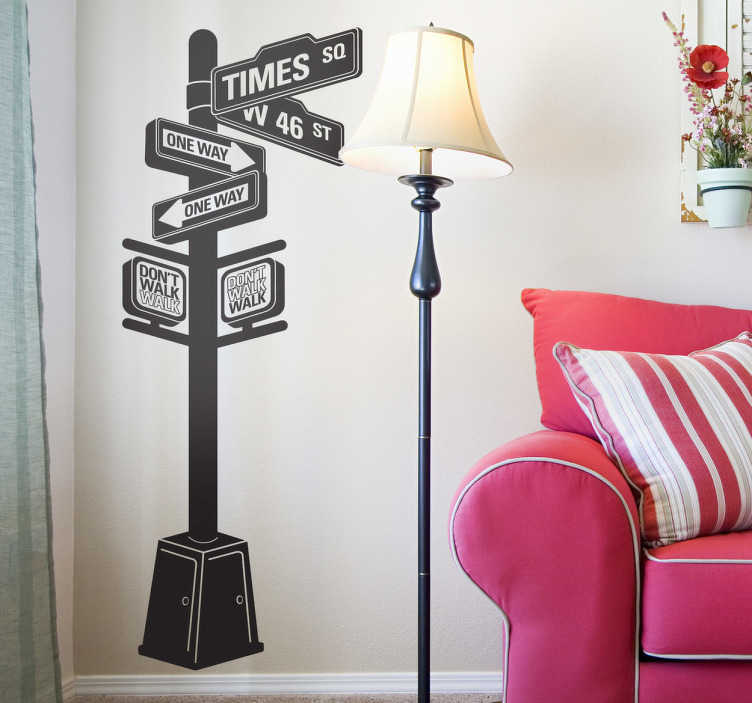 An iconic wall sticker illustrating a panel of directions in New York City. Great travel decal for those looking to decorate their living room. Have you been to New York? Do you want to keep some of this wonderful city in your home? If yes, then this design is perfect for you! Choose your favourite colour.